Convenient and discreet effortless and intuitive to use. 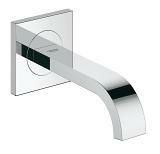 Allure F-digital takes the faucet design in a new direction. A square base plate gives rise to the circular control – mirroring the same design details that give Allure faucets their modern appeal. Simply turn the product on, twist the outer ring to increase water flow and press the plus or minus to increase or decrease the temperature. 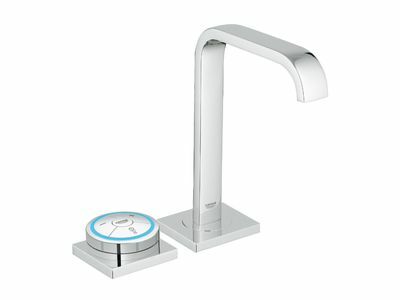 To further enhance usability, an LED ring gives visual feedback on the water temperature. And for the bath and shower, the digital diverter lets you switch between water outlets with a single touch. Uniting simple operation with the latest wireless technology, both the Digital Controller and Digital Diverter can be fixed in any position that is most convenient for you: on the wall, on the edge of the bathtub or basin, even on a glass shower screen. A single concept. Two products. Numerous interpretations. The modular design of the Digital Controller and Digital Diverter facilitates design coordination throughout the bathroom. Based on a series of concentric rings, the design guides you to the point of interaction. 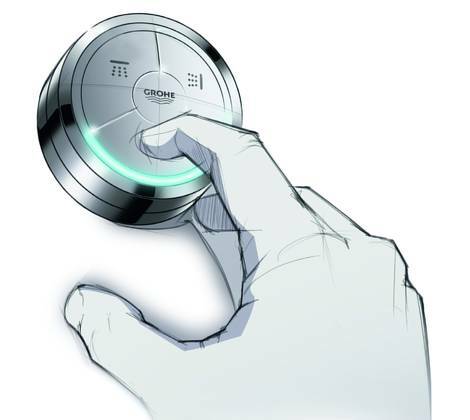 And with just three buttons and a dial, using the controller is both intuitive and simple. The outer ring features textureddetailing, ensuring maximum comfort and control of the water flow, even with wet or soapy hands. 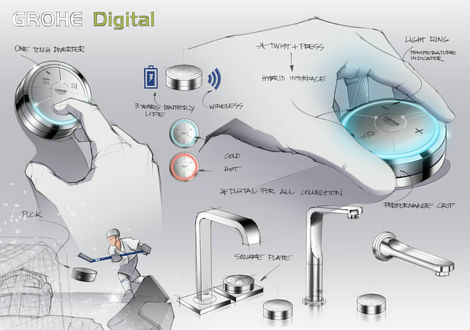 The modular design, intuitive user interface and increased planning flexibility are just a few of the features which have led GROHE F-digital to winning several design prizes, including a red dot ‘best of the best’ 2011 award. 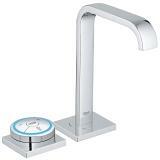 From a single freestanding bath spout to integrated solutions featuring a hand shower, bath spout and filler, the Digital Controller and Digital Diverter introduce a new level of luxury to the bathroom and enhance your bathing enjoyment. A true GROHE SPA® detail; the automatic bath filling feature will fill the bath for you to your pre-set temperature and water level. For large bathtubs, combine a bath spout with a bath filler. The Digital Diverter allows you to open both outlets at the same time, so the bath can be filled faster. Experience comfort like never before. 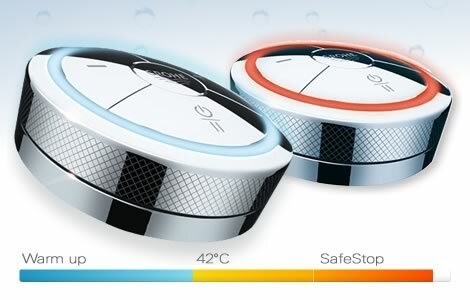 Use the memory function to save your individual combination of water temperature and flow. Throughout the day, the Digital Controller brings the convenience of one-touch operation to the basin. Wireless control, right on the button. 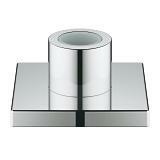 designed to accommodate all styles and sizes of basin. on the wall, on the ceramic or on the countertop. your personal needs and save water. Precise control, the perfect temperature and the luxury of saving your preferred settings with a single touch; GROHE F-digital will change your perception of faucets and showers. GROHE F-digital offers maximum design and planning freedom; with wireless technology and a full range of coordinating products for the shower, bathtub, basin and bidet, you can plan your bathroom exactly as you wish. Find out more about our digital solutions for your bathroom or your kitchen! Intuitive digital technology at your fingertips.